After releasing the locusts, the huge lizard that had once been the Vile-Emperor began to flee, flying straight up into the sky! Bai Xiaochun was about to give chase, but then realized that these locusts were different from the ones he had seen in the memories of the Worldly Daoist. These locusts all had strong cultivation bases, and were incredibly fast. Apparently, they possessed strange powers that differed from the natural laws of the Eternal Immortal Domains, which enabled them to instantly lock down on any nearby cultivator, and appear in their vicinity within the shortest of moments! The Saint-Emperor was already trying to attack them, but the locusts were able to simply dodge through his magical techniques and divine abilities! It was a moment of deadly crisis, and Bai Xiaochun had no time to sit around thinking about what to do. Pushing out with his right hand, he used the fourth of his major divine abilities, Gravitational Extermination. Space distorted, and in the blink of an eye, the power of gravity erupted around the locusts. As a result, the flow of time there changed, and the countless locusts that could disregard the natural laws of the Eternal Immortal Domains were suddenly affected in dramatic fashion. Before any of them could react, they slowed down significantly. At the same time, the Saint-Emperor’s eyes glittered, aware that if the locusts were not driven away, the consequences would be dire. Now that they were slowed, he didn’t hesitate to attack in full force. Bai Xiaochun left the locusts to him, blurring into motion as he shot after the lizard. Although he accelerated rapidly, the lizard was by no means slow, and it didn’t seem like he would be able to catch up quickly. Snorting coldly, Bai Xiaochun waved his hand. Instantly, the air in front of him rippled as a lonely boat materialized. Stepping onto the boat, he connected to it with his divine sense, whereupon it burst upward with speed that surpassed the Archaean Realm! This was none other than the lonely boat from his treasured fan! Intense whistling sounds filled the entire world as the boat rocketed in pursuit of the huge lizard, whose face fell at the sight. Even as the lizard prepared to dodge, Bai Xiaochun shouted at the top of his lungs and clenched his hand into a fist, whereupon a shadowy figure appeared behind him. The figure wore imperial robes and an imperial crown, and was none other than the manifestation of his Undying Emperor’s Fist. However, this shadowy emperor’s right arm was that of a sovereign! This wasn’t the Undying Emperor’s Fist, this was his upgraded Undying Sovereign’s Fist!! Without the slightest hesitation, he drew upon the full power of both his cultivation base and fleshly body, striking out in deadly fashion! This was the ultimate expression of his battle prowess, something impossible to resist, that could destroy the heavens and extinguish the earth! Instantly, a massive vortex sprang up, like a huge mouth lunging to consume the giant lizard. As for the lizard, he was already trembling, aware that even if his cultivation base was stronger than it was, he would not be able to fight back against this fist strike. The sovereign aura in the fist strike made it impossible for the lizard to even flee. Shrieking in defiance, madness, and despair, he uttered a complex curse in an unknown language, which caused masses of black smoke to pour out of his body and form into a spike! “It’s time for you to die, Bai Xiaochun! !” The lizard’s eyes shone with madness as his body withered, his flesh and blood sucked away to power the black spike. Within moments, the lizard was gone, completely absorbed into the gigantic spike! By that point, the spike was not illusory in any sense of the word, and thrummed with a murderous aura that caused even Bai Xiaochun to tremble in fear. Without even the slightest pause, the spike transformed into a blur of light that shot toward Bai Xiaochun! An unsightly expression appeared on Bai Xiaochun’s face as he thought back to the black spike he had seen stabbed into the forehead of the Immortal Imperatrix. This spike seemed to radiate the exact same type of energy! There was no time for thought or planning. Howling, he threw more power into his Undying Sovereign’s Fist, forcing it to become even stronger. In fact, the shadowy image behind him began to fade away, with the exception of the sovereign’s arm. He was using the same tactic the lizard had just used, absorbing the rest of his technique and focusing the power on one area, making the sovereign aura even stronger! As of this moment, Bai Xiaochun’s battle prowess was even more shocking than before! The back and forth reactions took only a brief moment. Then, Bai Xiaochun’s Undying Sovereign’s Fist slammed into the incoming spike, causing a massive boom to ring out, along with a shockwave that shook the world itself, and threatened to shatter the sky. Whether it was Bai Xiaochun, or the clone of the Mortal Renegade, both unleashed attacks that were at the ultimate peak of the Archaean Realm. And Bai Xiaochun had even backed his attack with some of the power of a sovereign! As for the spike, it was unbelievably domineering. At the moment of impact, the shadowy emperor that was the manifestation of the Undying Sovereign’s Fist shattered. However, the spike’s aura was also significantly drained, and it changed colors from black to gray, making it look weak to the extreme. And yet, a vicious face appeared on the spike, the last bit of will belonging to the clone, which then forced the spike to accelerate toward Bai Xiaochun’s forehead! Everyone who could see what was happening cried out in alarm. However, Bai Xiaochun had prepared from the very beginning to deal with this formidable spike. As it blurred toward him in a streak of gray light, he pulled out his turtle-wok, whereupon a boom rang out as the two collided! The wok shivered violently, transforming into a black beam that shot back inside Bai Xiaochun. However, it had successfully blocked the spike. The shattered will of the clone let out a defiant howl, and turned to flee, but was not as fast as Bai Xiaochun! As Bai Xiaochun grabbed it, his eyes flashed with a vicious glint, and he sent his divine sense out to crush the will of the clone! As the last bit of the clone's will was wiped away, a bloodcurdling scream echoed out into the air. Down below, the effects of Bai Xiaochun’s Gravitational Extermination enabled the Saint-Emperor to eliminate all of the locusts. Expression unsightly, he then flew up to Bai Xiaochun’s side, and looked at the gray spike he held in his hand. The spike was actually formed from flesh and blood, and emanated a shocking life force that seemed equivalent to an archaean. Although it struggled at first, after Bai Xiaochun wiped the spike clean of the will of the clone, it turned bright white, and stopped moving. Bai Xiaochun put the spike away and exchanged a worried glance with the Saint-Emperor. Then the two of them looked at the enormous giant looming over them in the sky. Meanwhile, the survivors from Vile-Emperor City were looking around blankly. Soon, the celestials gathered their wits and flew up toward Bai Xiaochun to offer greetings. They brought the Giant Ghost King with them, unconscious but unharmed. Bai Xiaochun had located the Giant Ghost King in the early stages of the battle, and had sent some divine sense over to him as a protection. Their polite, respectful greetings immediately showed their attitude. The Vile-Emperor had turned out to be a clone, which meant that the Vile-Emperor Dynasty was no more. On any other occasion, Bai Xiaochun and the Saint-Emperor might have begun to contend with each other for control of the remnants, but now, they were in no mood for such a thing. “Where is Daoist Heavenspan! ?” Bai Xiaochun said, scanning the vicinity. The celestials remained silent for a moment, until Prince Ur-Demon finally spoke up. Frowning, Bai Xiaochun prepared to ask further questions, when suddenly, a heaven-rending, earth-crushing rumbling sound could be heard, filling even the furthest corners of the Eternal Immortal Domains!! It was an intense sound that seemed to contain unending death and destruction, and seemed to step from the darkest depths of the void…. 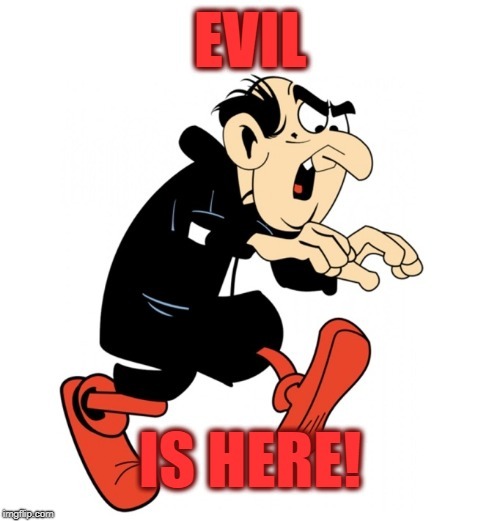 Something profoundly evil was coming! Bai Xiaochun, the Saint-Emperor, and everyone else in the Eternal Immortal Domains looked up into the sky, their expressions flickering…. High above, the eyes of the Mortal Renegade were quivering! !